"My three-year-old son is so excited about HappyFeet Soccer. Every Thursday he wakes up and the first thing he says is, 'I have soccer today. Mommy, I love soccer!' He wants to wear his soccer shoes and his soccer shirt every day. He walks around the house saying “Coach Scott” while slamming one fist into the other hand. Every time we get a soccer ball out, he calls it “Bob” and starts running around giving it commands! My son’s coordination and large motor skills have greatly improved since starting HappyFeet. I am so amazed about how such a great program has truly inspired my son and has brought him so much happiness. Thank you, Scott, for showing my son that soccer can be more than just a game!" "My daughter, Emma, was in her school, Little Angels Learning Academy, when we learned about the program. Coach Andrew began the program in the classrooms at school and that was all she could talk about. She knew every Wednesday that it was HappyFeet day and never left out a detail at the dinner table that night. 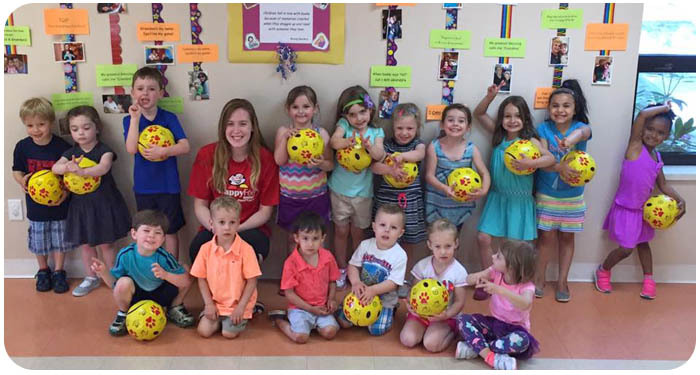 Our involvement came about when the HappyFeet soccer league began on Saturday mornings at Drury University. Coach Andrew and a couple of assistants would have these kids organized and playing every Saturday morning. Our respect for his coaching was in how the children listened, learned, and respected him. The tactics he used to keep the kids involved was very unique and very effective. We all know the attention span of a 4 year old is not very long, but he kept their attention and they continued to learn. 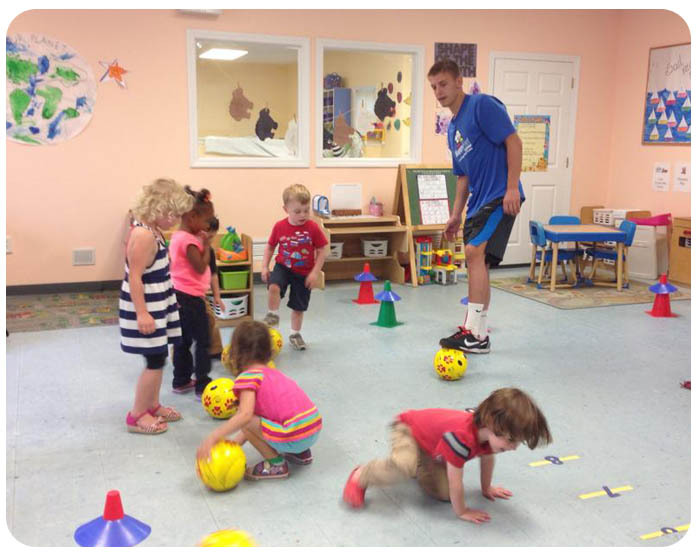 We will recommend this program to anyone with small children and think very highly of the program and coach Andrew both as a person and a coach." "Our 4-year-old daughter, Maddux, told us about so many good things about The HappyFeet program at her school. We were thrilled when HappyFeet broadened the program to Saturday mornings. The HappyFeet coaches’ enthusiasm and positive attitude shows through the smile on their face and the faces of the kids. The coaches maintained a constant effort to involve all children - regardless of skill level - and motivated every child to participate. We enjoyed watching the “games” as much as the kids enjoyed playing."